We have a passion to provide the highest level of medical and surgical care for your beloved pets. New! Save time and order your pet’s medications through our new online pet pharmacy/pet food store. PLEASE ALLOW 48 HOURS FOR PROCESSING OF YOUR ORDER. Take a moment to get to know our team and read our biographies. Our clients rely on us for exceptional pet care and customer service. 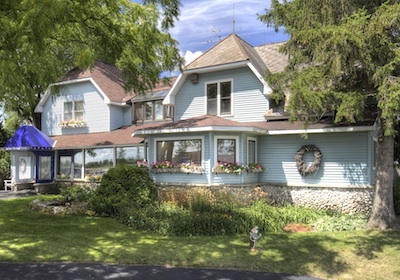 Take a tour of our beautiful 100 year old “Big Blue Farmhouse”. 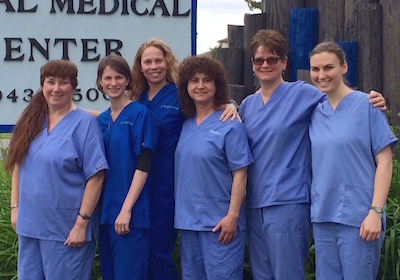 We welcome you to join “our family” at the Animal Medical Center of Traverse City. Let us help you provide the best care your pet deserves. We are your pet advocates! We are a small, locally owned and operated facility where you will be treated like part of our family. The friendly, familiar, compassionate care provided by our staff helps make a trip to the veterinarian less stressful on both you and your pet. We offer a full range of veterinarian services including routine spay and neuter, routine preventative medicine and wellness, critical patient care, soft tissue surgery, dentistry and dental radiology, ultrasonography/ radiology, and in-house laboratory testing and pharmacy, and more.